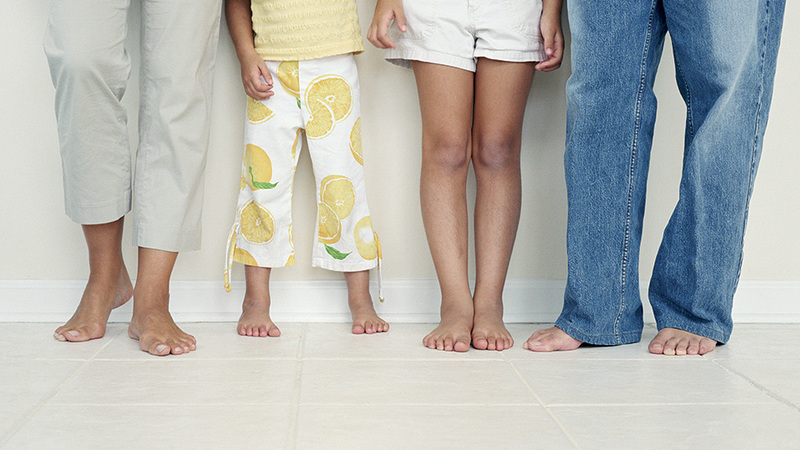 Tile and stone are widely regarded as the best materials for use with underfloor heating systems. They have high thermal conductivity, retain heat well and provide a durable surface covering. Key for every tiled floor, managing movement becomes an even more prominent concern when specifying underfloor heating systems. A heated floor experiences heightened levels of stress and tension, due to the greater range of temperatures it is subjected to. This in turn makes failure more likely. Schlüter’s underfloor heating systems are designed to address the above and other common issues within heated tile or stone installations. Multi-functional and easy to install, they also minimise height build-up and material volume, making for a more practical and eco-friendly solution. Schlüter-DITRA-HEAT-E keeps build-up heights to a minimum, incorporating uncoupling, waterproofing and underfloor heating in one solution. Suitable for both new-build and retrofit projects, this versatile electric underfloor heating system solution can also be used to created heated walls, shelves and other features. 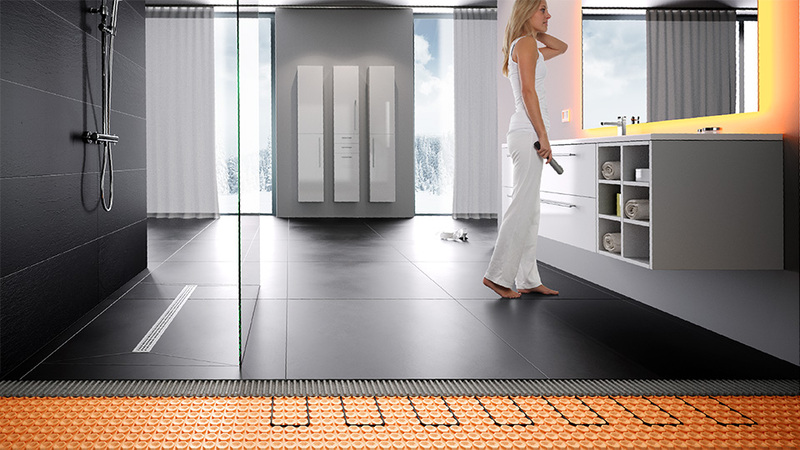 Schlüter-BEKOTEC-THERM offers a modern alternative to traditional water-fed underfloor heating systems. Minimal screed volumes and innovative system panels define this responsive and energy-efficient solution to creating a heated floor assembly.